Includes Round Bottle Hanging Die Cut! 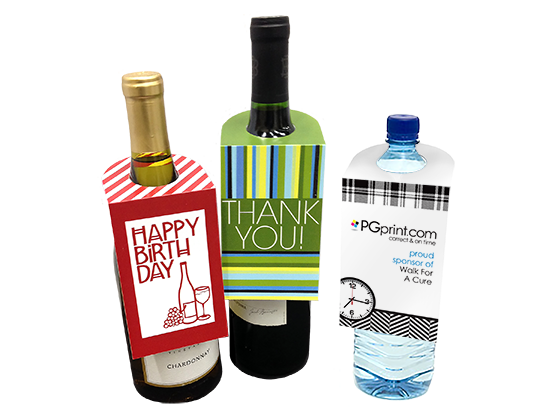 Say thank you, happy birthday, or congratulations with a custom bottle hanger. Custom bottle hangers are the perfect way to share a message or promote your brand at a charity walk or other event. Order as few as 25 or as many as 100,000!